The Clinical Outcomes Assessment Program (COAP, http://coap.org/) is a Washington State Coordinated Quality Improvement Program designed to facilitate the reflection and improvement of cardiovascular care by physician leaders and hospitals. COAP was established in 1997 to focus on cardiac revascularization procedures, and as a consequence other clinical domains have been added over the years. In keeping with industry movement towards greater transparency, all COAP member institutions have agreed to participate in a voluntary internal transparency initiative where data is identified to other participants for internal quality improvement purposes. The majority of members are also participating in the public release of their outcomes data (http://coap.org/public/index.html). A voluntary physician-led Management Committee, supported by several subcommittees, makes determinations on quality outliers and helps establish quality metrics for the COAP program. A Medical Director and Program Director oversee all aspects of the program. COAP provides recommended practices to its hospitals as a way of improving the quality of cardiac surgical care (http://www.coap.org/patient/recommended.html). COAP centers convene: (1) annually to discuss current initiatives underway throughout Washington, (2) for a workshop focused on a specific quality improvement project, and (3) on an ad hoc basis as needed for data manager training or support. Our groups predominantly utilize the Society of Thoracic Surgeons' (STS) Adult Cardiac Surgical Database (http://www.sts.org/) as its source of data, and leverage both individual medical center and regional reports for benchmarking purposes. The Atlantic Cardiovascular Quality Initiative is a multidisciplinary group of health care professionals dedicated to improving the care of adult cardiac patients in Maritime Canada. Participating Centers include: Saint John Regional Hospital Saint John, New Brunswick, Queen Elizabeth II Health Sciences Centre, Halifax, Nova Scotia, and Health Sciences Centre, St. John’s, Newfoundland. ​In 2013, the Maryland cardiac surgical community united in efforts. statewide and formed the Maryland Cardiac Surgery Quality Initiative (http://www.mcsqi.org, MCSQI). The 10 programs in Maryland share data and clinical protocols with a single focus of making cardiac surgery safe for our patients. In working closely with the Maryland Health Care Commission (MHCC), MCSQI has become a valuable partner providing important counsel about cardiac surgery performance standards in support of the state regulations for cardiac surgery. The goal of Maryland Cardiac Surgery Quality Initiative (MCSQI) is to improve clinical quality in the state’s cardiac surgery community through outcomes analysis and process improvement and research. MCSQI serves as a peer-to-peer value exchange whose work promotes the adoption of evidence-based best practices, ensures fair and accurate reports and enhances healthcare policies. Our group endorses the spirit and intent of the Maryland Health Care Commission’s (MHCC) legislative charge to improve oversight and maintain high performance standards in Maryland hospitals’ cardiac programs. Improve Quality and Control Costs: MCSQI members collaborate to analyze hospital processes, work to identify opportunities for improvement and help implement relevant best practice protocols. Enhance Communications: MCSQI serves as the interface to communicate process of care information between member sites, eliminating decision making in silos and connecting multi-disciplinary clinical teams. Inform MHCC Policy: MCSQI helps establish a voice within the state’s healthcare legislation by providing MHCC committees and staff with ways to define and assess cardiac surgery performance. 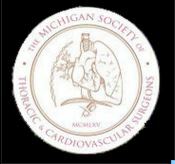 The Michigan Society of Thoracic and Cardiovascular Surgeons (MSTCVS, http://www.mstcvs.org/) was formed in 1965 as a statewide society for Cardiac and Thoracic surgeons, and was utilized as a way to convene the membership once per year to discuss cases and issues involving the specialty of Thoracic Surgery. In the 1990’s with the realities facing the specialty and the maturation and utilization of the STS database, a forum was created at the state meeting to discuss outcomes, concepts, approaches and ideas for improving cardiac surgery. This platform evolved into all sites in the state (33) voluntarily sharing unblinded data concerning processes of care and outcomes. The quality collaborative (http://www.mstcvs.org/qc/) started in 2000, and in 2005 with the financial support of Blue Cross Blue Shield of Michigan added a coordinating center and dedicated surgical database. One of the earliest efforts aimed at understanding the effect of CABG surgery on patient outcomes was the development of the Northern New England Cardiovascular Disease Study Group (NNECDSG, http://www.nnecdsg.org/) founded in 1987. The NNECDSG is a regional, voluntary, multi-disciplinary group of clinicians, hospital administrators, and health care research personnel who seek to improve continuously the quality, safety, effectiveness, and cost of medical interventions in cardiovascular disease. 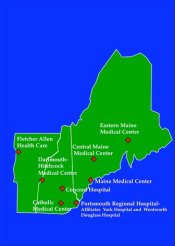 The following eight medical centers are regional members: Catholic Medical Center, Manchester, NH; Central Maine Medical Center, Lewiston, ME; Concord Hospital, Concord, NH; Dartmouth-Hitchcock Medical Center, Lebanon, NH; Eastern Maine Medical Center, Bangor, ME; Fletcher Allen Health Care, Burlington, VT; Maine Medical Center, Portland, ME, and Portsmouth Regional Hospital, Portsmouth, NH. The NNECDSG maintains registries for all patients receiving cardiac surgery, and percutaneous coronary interventions (totaling over 200,000 consecutive procedures) occurring at its eight participating medical centers. The NNECDSG has a rich history of successfully conducting and completing prospective cohort studies, including publishing over 93 articles on cardiac surgery in the peer-reviewed literature since its inception. The NNECDSG houses a number of registries that track the clinical outcomes of all revascularization procedures performed by the participating institutions. From these databases, regional outcomes have been tracked and risk-adjusted models have been developed. Our prediction models are used to develop decision-making tools for clinicians and their patients. The NNECDSG maintains dedicated surgical, perfusion, anesthesiology and interventional cardiology registries that contain patient, procedural, and outcomes information. The PH&S-Swedish Cardiovascular Clinical Performance Group is a professional collaborative dedicated to excellence in clinical outcomes, research, education and stewardship. PH&S-Swedish Cardiovascular Clinical Performance Group is a collaborative organization of cardiovascular clinical and administrative professionals who practice at Providence Health & Services Medical Centers in Alaska, California, Oregon, Montana and Washington. Our 15 cardiac surgery programs have an annual collective volume of 4900 cases and the 17 cardiology programs perform approximately 8000 PCIs / year. The members meets biannually to discuss cardiovascular topics of interest, learn from nationally recognized thought leaders, examine and reduce variances in key cardiac surgery and cardiology outcomes and promote system-wide collaborative research. Weekly executive committee meetings are held to discuss ongoing research, vet proposed research topics and plan meetings. Members include cardiac surgeons, cardiologists, anesthesiologists, perfusionists, Physician assistants, nurses, statisticians, data managers, and cardiac service line administrators. Current topics of interest are blood conservation / transfusion reduction, application and implementation of Appropriate Use Criteria for coronary revascularization, acute postoperative renal failure and stroke, readmission following open heart surgery and glycemic control. In 2012, North Texas’ Cardiothoracic Surgeons and the hospitals in which they operate created the Texas Quality Initiative (TQI) http://www.dfwhcfoundation.org/tqi at the DFWHC Foundation. The “TQI” is a physician led, hospital funded collaborative designed to improve cardiovascular surgery for patients in North Texas. Currently there are 5 participating health care systems, which leads to 28 participating hospitals. TQI created a regional certified cardiovascular registry combined with a regional hospital all payer claims data warehouse to identify and spread best practice outcome and value information to providers. The TQI’s goal is make North Texas a destination center for cardiac care worldwide. Improve the quality and safety of care for cardiovascular (CV) surgery patients across Texas. Create the capability to merge robust and risk-adjusted Society of Thoracic Surgery (STS) clinical data with comprehensive north Texas administrative data for a comprehensive regional CV dataset (TQI dataset). Leverage the TQI dataset to inform detailed comparative analysis; looking at quality outcome measures and cost effectiveness. Capitalize on the TQI dataset for research and quality improvement initiatives. Promote the highest standards of practice among certified cardiothoracic surgeons in Texas. Expand TQI regional collaborative beyond north Texas hospital systems.